The smallest in the Club electric series, the Club 3 electric stove makes a big impression despite its compact proportions. 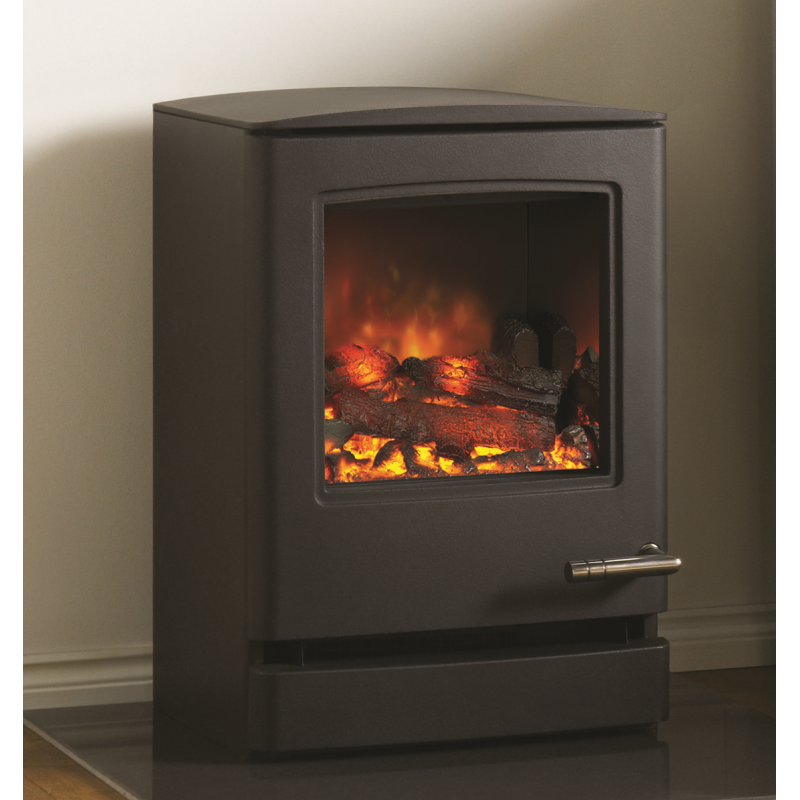 Benefiting from LED multi-tonal technology, this electric stove creates an inviting ambiance – with our without the heat! 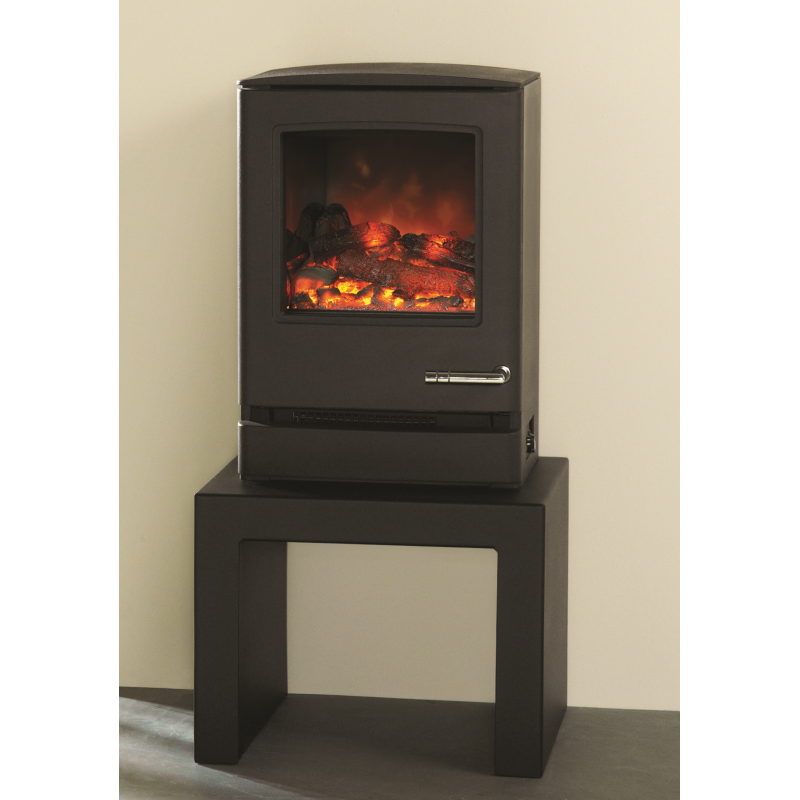 Finished in Black with a modern stainless steel handle, the Club 3 electric stove comes with a standard remote control. 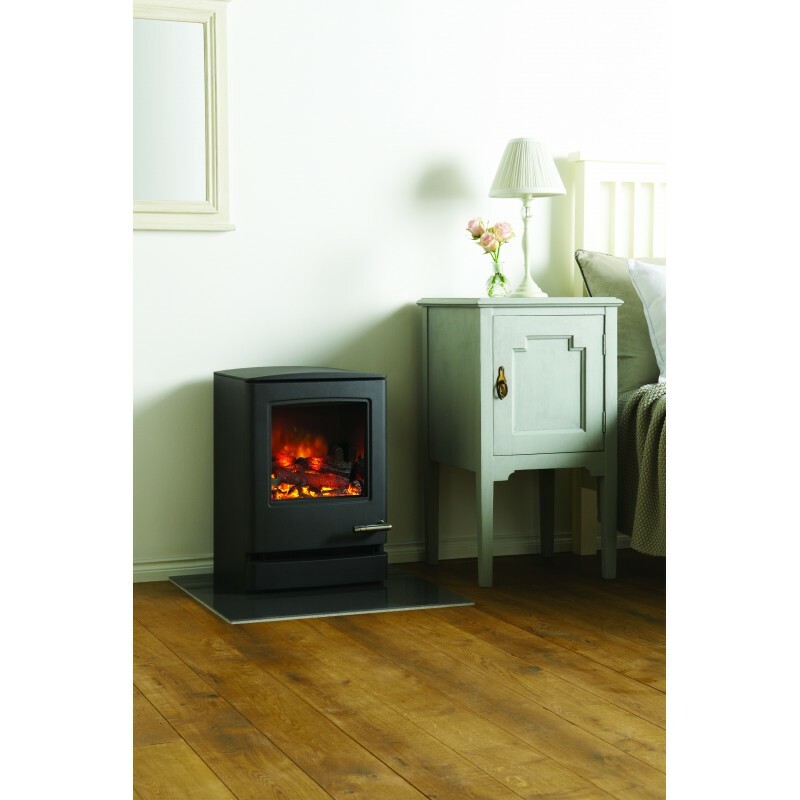 The Club range of electric stoves are ideal solution for rooms without a flue such as bedrooms, halls, studies or kitchens. 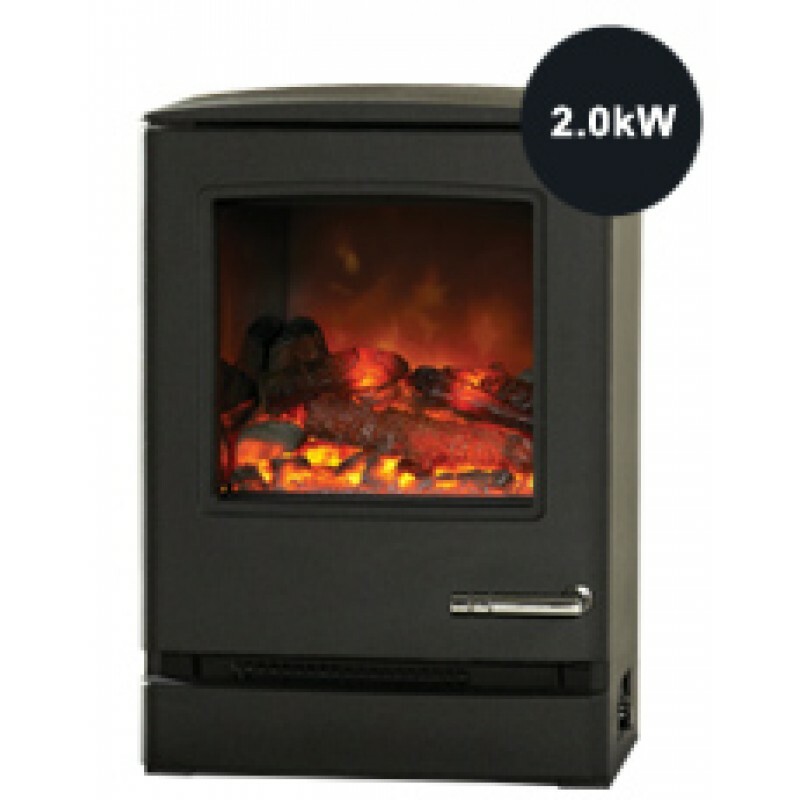 The Club 3 electric stove is also available in the following versions: a wood burning and multi-fuel stove and a gas stove. 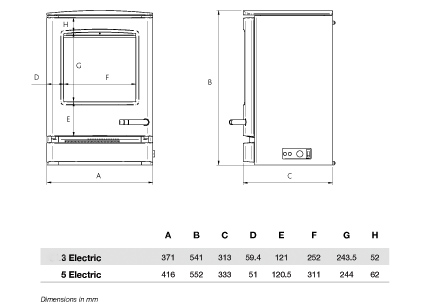 Do you have any questions about Club 3 Electric Stove?